So becoming a copywriter that reads on the bus commutes was a smart idea. Yesterday was World Book Night. A day/night where thousands of volunteers pass out 20 copies of a book across 6,000 cities and towns resulting in 500,000 books out to light and non readers. My co-worker Amanda and I signed up to volunteer as Book Givers. The process was pretty simple. You filled out an application and if selected, decided where you wanted to pick up your books (We went to After-Words which just might be my new favorite place in all the land). Then, you hand out your copies. Amanda handed out Bossypants and I dished out Moneyball. We did a few handouts on our way into work and decided that during lunch we’d stop by the Chicago Fire House nearby and then continue to hand out books around the Loop. FF Chris: Good afternoon, how can I help you? Hanna/Amanda: We have books. Here are some books. Thanks! FF Chris: Oh awesome, come on in. Do you guys want some coffee? How about some pictures? FF Chris: Here, let me grab some guys we’ll get you helmets. Firefighters Reuben and Brian join us and Amanda and I suit up in fireman garb. Amanda’s wearing a jacket, a helmet (Captain’s nonetheless) and carrying hoses on her shoulders. I’m given boots, pants, a helmet and yes, even an ax. We stand around chatting in our attire, take a photoshoot and leave the firehouse huge fans of the Chicago Fire Department. A little book drop turned into an afternoon pick-me-up neither of us saw coming. Needless to say, the rest of the day’s giving was fun, but didn’t include dress up time. If you’re like me, you devoured The Hunger Games trilogy. And now, have to get your fill of that world in the movies (which are just as fantastic). But fret no more. I’ve been tipped of a series that’s similar in nature minus the arena. It’s called Divergent, by Veronica Roth (who’s 24, cue my jealousy). I was hesitant when Maggie first told me about this, because let’s be honest, nothing could ever compare to The Hunger Games. Borrowed the first book from a co-werker (Divergent) and read it in three days. Got the second one (Insurgent) and missed my bus stop this morning from reading for too long. I’m hooked. And if you have a gaping hole the size of Panem, this just might be something to tide you over until Catching Fire comes out. I should note, the third and final book of the Divergent series is not out. Which means you’ll have to sit around twiddling your thumbs, just like you did when you finished a Harry Potter book. 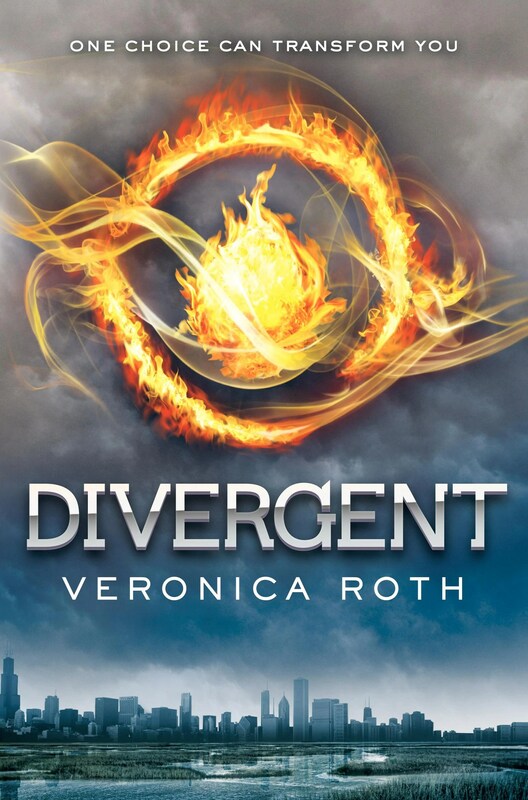 The Divergent trilogy is slated for Hollywood, though I refuse to see a casting list until I finish the second book. Also to note, this book takes place in Chicago in the very distant future. But Roth still makes current landmark Chicago references (every time I look at Millennium Park, I think of a scene from the book). And I love every minute of it.